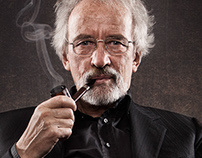 CLIENT: «Bang & Olufsen» is a danish manufacturer for luxury class audiovisual electronics products. 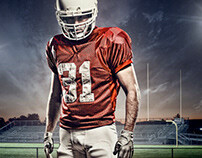 B&O is also famous for its award-winning industry and product design. 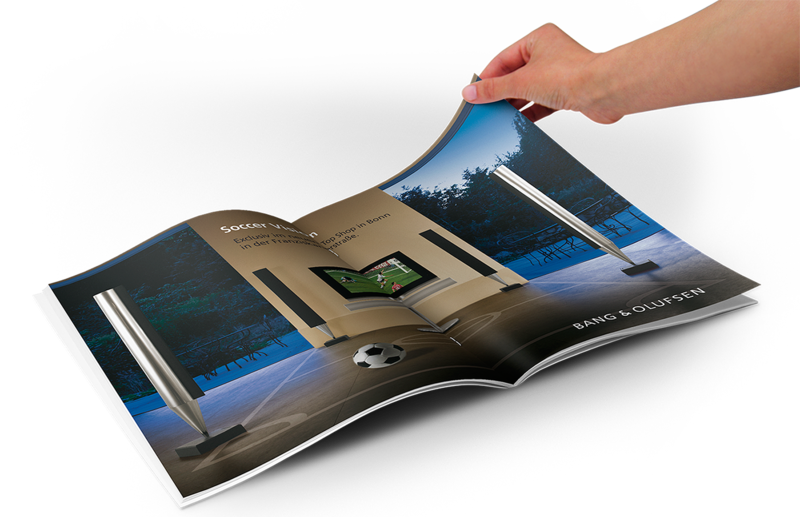 The magazine ad was published during soccer world cup 2010 in Germany. 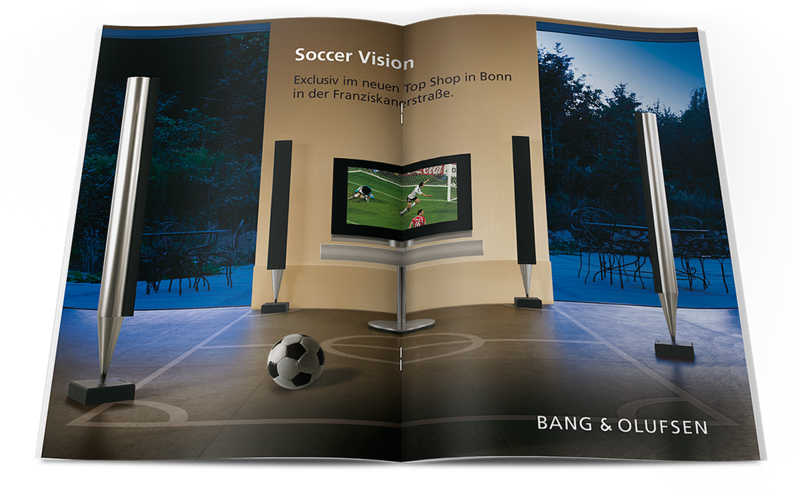 We wanted to bring the soccer field into people's living rooms – but just in the form of an audiovisial experience by Bang & Olufsen. 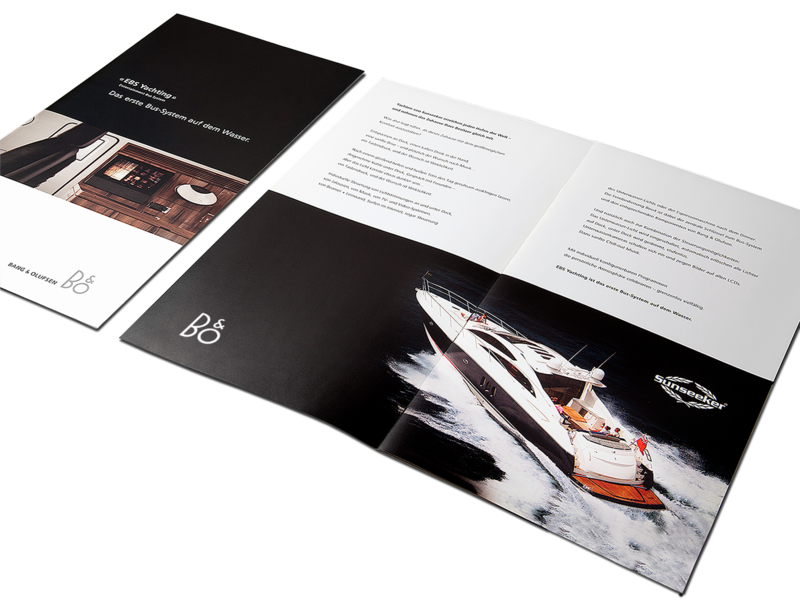 Brochure design for a common project of Bang & Olufsen and Sunseeker Yachts. The aim was to establish B&O’s newly developed entertainment / bus system for yachts and boats. 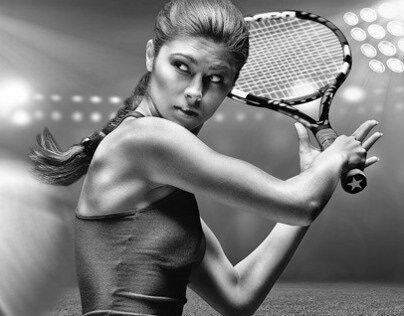 The brochure is focused on b2b customers, that’s why we wanted achieve a cool yet minimized look.